Ever wanted to try Surfing or improve your technique? Or maybe you want to do something together as a couple or a group of friends? Doolin Inn has teamed up with Bens Surf Clinic to provide you just that. But while you’re here, be sure to hike the Cliffs of Moher Coastal Trail, catch a Doolin Sunset, explore deep into Doolin Cave and get lost in time in the ancient Burren. At night enjoy the banter in the lively Doolin Pubs on our doorstep. 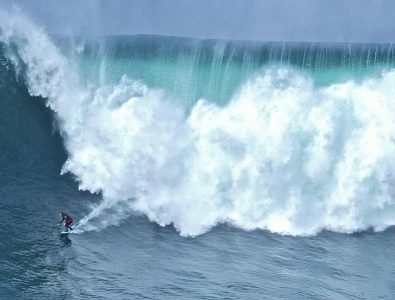 2 Hour Surfing lesson with Bens Surf Clinic in Lahinch (all equipment supplied) If conditions are not appropriate for Surfing, Indoor Rock Climbing / Bouldering at Lahinch Adventures will be offered in lieu or Paddleboarding if suitable. Price is based on up to two persons sharing. Additional persons sharing are subject to €35pp activity fee. If conditions are not appropriate for Surfing, Indoor Rock Climbing / Bouldering at Lahinch Adventures will be offered in lieu or Paddleboarding if suitable. Cancellation policy for this package is 14 days. Time of activity is dependent on tides, swell and weather at Lahinch Beach and we will endeavour to have a mid-morning adventure after your first night with us. Confirmation of Activity time will be emailed 1 week prior to arrival. Minimum age 8 years of age. Transport to activity not provided.